Manchester United look to have been handed a significant transfer boost as goalkeeper David de Gea is unsure over joining Real Madrid at the moment. This is because the Spain international is not keen on a move to the Bernabeu while current manager Zinedine Zidane is in charge, according to Don Balon. Supposedly, De Gea fears he would not be guaranteed being Real’s no.1 under Zidane, with Keylor Navas still a threat for that position in the side. Reports from Don Balon earlier today stated De Gea was looking set for a £99million transfer to Madrid, but it remains to be seen if it is as straightforward as that. Of course, when it comes to Zidane and his position in charge of Real, it could be that De Gea doesn’t have a huge amount to worry about. 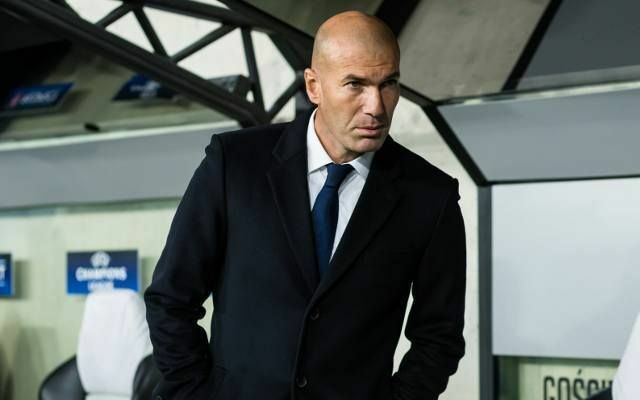 The French tactician has struggled to get the club firing this season, despite making a great start in his first two seasons in charge of Los Blancos. Zidane won the Champions League in each of his first two years in charge, as well as a La Liga title last season, though his side are already well out of the running to retain their crown this term. Real don’t have the best track record of showing patience to managers and that could mean Zidane will in fact be gone soon if his side’s hopes of silverware in other competitions fades. Madrid face a daunting Champions League tie against PSG and if Zidane cannot get them through it, it’s hard to imagine he’d be in charge next season, which could then still see De Gea leave Old Trafford for the Bernabeu.